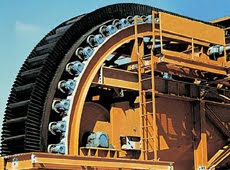 Steel cord conveyor belts ensure maximum conveying performance, even under grueling stress conditions. Their robust design guarantees high tensile strength at maximum conveying capacity as well as excellent impact resistance. 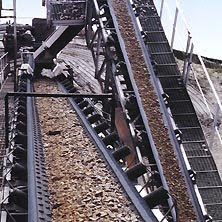 Wear-resistant, rot and corrosion-resistant, resistant to chemicals and thermally stable, our conveyor belts provide long years of service while requiring little maintenance. the real truth about Conveyor Belts ...all aren't created equal!!!!
" if you aren't using or haven't tried DURALINE High Performance Conveyor Belting ...your company is missing the opportunity to lower your overall costs for operating your conveyor systems, increase your efficiency, reduce maintenance, and extend belt life. 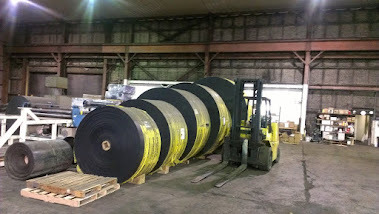 Developed and Built with the Highest Standards in the Industry, we are out performing the other conveyor belts in the marketplace and saving our customers needed Bottom Line $$." Advanced Rubber Technologies " Sales Team"
" the Belt Doctor "
"Where value added is the Norm!" Ask us about " TOTAL COST OF OWNERSHIP" and "TRUE COST"
Want Field Belt Surveys ? Want to change Transfer Points, increase Product Flow, Reduce Spillage and decrease downtime? 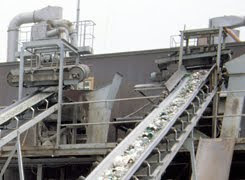 Want to Lower your Cost Per Ton Cost for Material Handling Conveyor Belt? We have a Team Ready to Serve You !! Standard Widths from 36" - 84"
Copyright 2011 Gary Hanson. Awesome Inc. theme. Powered by Blogger.